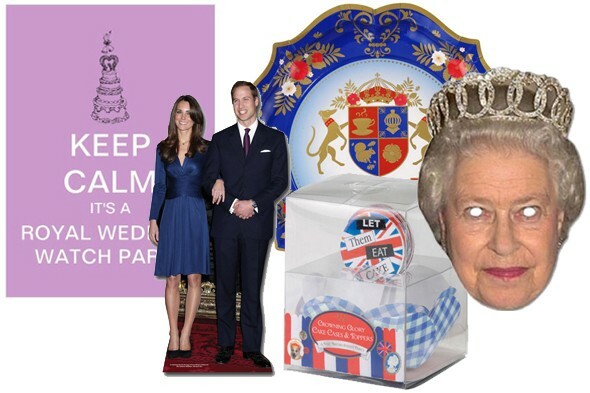 The wedding of the decade is right around the corner, but even if you don’t plan to hop the pond for the actual event, there’s no reason not to celebrate in Windsor style. The key to throwing anyparty is to have it be more fun than stress, and Julie Subotky has all the tips for hosting a successful wedding watch soirée—with a royal touch. As the founder of Consider It Done, a personal concierge and lifestyle management company devoted to getting life’s sometimes often tricky and sometimes tedious tasks accomplished, Julie Subotky has planned after parties for Guns n' Roses, organized charity events for the Mayor's office, and catered to the every whim of celebrities and socialites alike. In her new book, Consider It Done: Accomplish 228 of Life's Trickiest Tasks (Three Rivers Press; $15.00 paperback), she shares tips on accomplishing tasks from the essential to the zany, and breaks down the essential elements of a great TV viewing party: dress, food, entertainment and décor. DRESS: When it comes to a viewing party, it’s fun to go over the top with a theme. This means costumes. Make it a big deal, just like you are a guest at the wedding. Encourage your guests to wear old bridesmaids dresses - you always wanted another use for something that you spent $200 on and only got to wear once. Never a bridesmaid? Here’s the perfect opportunity to dress to the nine’s and wear the most British looking hat you can find. FOOD: As for the food, the obvious choice is theme food for whatever show you’re watching. 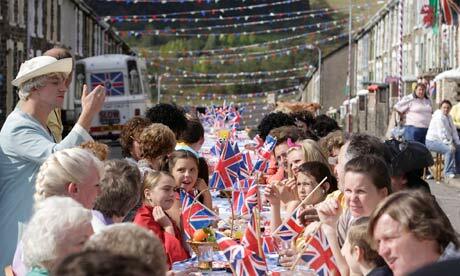 You can always go with cuisine native to a show’s setting so for a royal wedding? Tea & crumpets are the logical choice. But remember to break out your nicest china, it's a regal occasion, after all so dine in style. 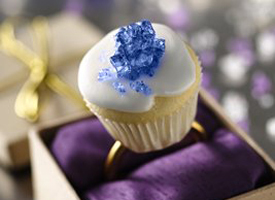 And consider blue wedding cake as your something blue (in honor of Kate’s ring!). Looking for something more? Check out websites like www.slashfood.com, which have a lot of creative theme recipes, for inspiration. Cheese and bread, cookies, and finger sandwiches are always good options, too. Don’t forget champagne for toasting the happy couple! ENTERTAINMENT: If you are watching the wedding in real time, you won't be able to fast forward. The procession will take a longtime so create games to keep your guests entertained. One idea: the guest list has been kept under lock and key, so have each guest make a list of their best guesses as to who will be at the wedding. As the cameras pan the crowd - if you have someone on your list you get a point. The winner goes home with a prize. Locate a copy of Princess Diana and Prince Charles' wedding and count how many things are new for Kate & William. Watching both weddings at the same time is like taking a trip down memory lane. DÉCOR: Go all out with invitations. This is royalty we're talking about - make it a special invitation and people will want to come celebrate. There are plenty of suggestions online or create a custom label and paste it on a champagne bottle. 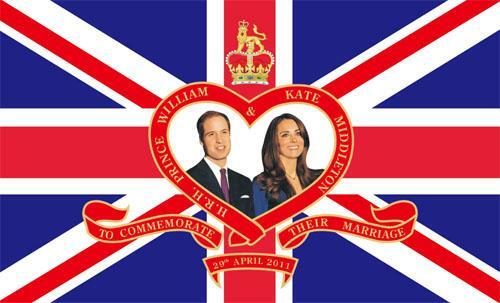 Display a large photo of Kate and William so that guests can take photos with the bride and groom. Print them right then and there - get some frames (you can even do a simple frame and have guests decorate them at the party). Arts and crafts will help pass the time watching the ceremony, plus you'll have instant party favors for your guests to take home. Remember, TV viewing parties, especially royal ones, are great opportunities for mixers, because they provide at least one guaranteed topic of conversation. They’re also easy to plan and it’s always more fun to watch together as a social event, instead of something you do in your sweatpants alone on the couch. I think that you provided some great ideas on how to throw your own royal wedding party. The ideas for entertainment were especially good!